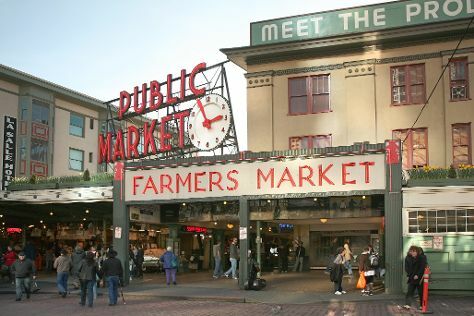 Your day-by-day itinerary now includes Dimitriou's Jazz Alley as well as Bathtub Gin and Co.. Do some cultural sightseeing at Pike Place Market and Seattle Asian Art Museum. Step out of Seattle to go to Tumwater and see Tumwater Falls Park, which is approximately 1h 55 min away. There's lots more to do: admire the masterpieces at Chihuly Garden and Glass, enjoy breathtaking views from Volunteer Park, make a trip to Space Needle, and identify plant and animal life at Mercer Slough Nature Park. To see traveler tips, ratings, photos, and more tourist information, refer to the Seattle trip itinerary app . Salem to Seattle is an approximately 4-hour car ride. You can also do a combination of bus and flight; or take a train. In March, plan for daily highs up to 56°F, and evening lows to 42°F. Cap off your sightseeing on the 27th (Wed) early enough to go by car back home.